I chose one of my favorite Warhol prints to emulate and I am super pumped with how it turned out! 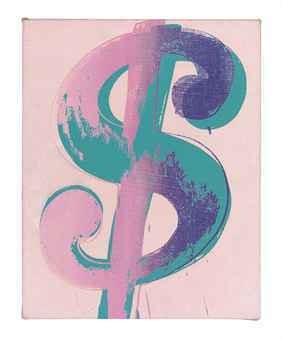 Warhol's iconic dollar sign prints are very recognizable, and the fun colors always stand out to me. I chose this version's color palette to work with because it's basically all of my favorite colors. I would love to have this exact painting hanging on my wall, but the original print was sold at auction for over $339,000. That's definitely above my pay grade. So I did it on my nails! I started with a base of OPI - Steady As She Rose. The rest of my nails I just covered with some abstract dry-brushing and the same three colors. What do you guys think of this look? Hope you like it as much as I do! Hey everyone! Today we're doing the Inspired by a Book theme and as promised earlier in the month, I've done nails inspired by the new Ellen Hopkins book, Rumble! Plus, head to the end of the post to find out who won the Ellen Hopkins giveaway! Tada! Once again I am really pleased with the end result of my book nails. At first I wasn't sure if I was going to get the right effect but after I kept layering colors, it came out looking so close that they could almost blend right in! I started with a base of China Glaze - Bahamian Blues. I used a black striper to create some jagged lines to mimic the cover even more. And now... Without further ado... The winner of the giveaway is Mandy L! I've contacted the winner and will redraw in the event of non-response. What do you guys think of my Rumble nails? Hey everyone! Happy Autumn... Even though it makes me sad because it means winter is on its way. I'm just not built for the cold. Remind me again why I don't live in Florida? The theme for today is Inspired by a Movie. A couple weeks ago I got the new Pulp Fiction nail polish from Urban Decay so I knew I'd have to use that and do Pulp Fiction nails! I was inspired by Mrs. Mia Wallace and the smoke always billowing out of her lush lips! I added a bandaid on the thumb for Mr. Wallace, which definitely brings the look together. This is a beautiful red with tonal shimmer, and the formula is dreamy. It takes 2 thin coats for full coverage, and as always the UD formula is so easy to work with. I did the smoke with Color Club - French Tip using the watercolor technique. I have a (slightly old) tutorial for that technique here, and I was inspired by these nails by Chalkboard Nails to turn that technique into smoke! The bandaid was painted with OPI - San-Tan Tonio and OPI - Did You 'Ear About Van Gogh? The lip print stamp is from Bundle Monster plate BM-303 and Konad Black special polish. Still in love with the Urban Decay bottles. I've got all of these new polishes now... Haha. Oh and good news for Canadians, the Shoppers Drugmart locations that carry UD stocked this collection, including the polish! They never had any of the polishes before so I was really surprised to see it there. What do you guys think of these nails? Can you see the Mrs. Mia Wallace inspiration in them? I'm really pleased with how they turned out! We are into the third and final section of the 31 Day Challenge! Lemme tell you, I love when it gets to the final stretch but it also brings some of the most challenging days. It's good and bad. Haha! Today's theme is Inspired by a Color. I always choose a polish color (and usually name) to take inspiration from, because we all know that polishes can have some fun and/or weird names. I read through basically all of my polish spreadsheet to find a name and mani idea, and here's what came to me. I know a cake hole is technically your mouth, but donuts are basically little cakes with holes. A cake hole. So I did donut nails! The base color is China Glaze - Something Sweet which is appropriate because donuts are sweet. The dough color is OPI - San Tan-Tonio, the icing is the aforementioned Cake Hole, and I did the sprinkles with acrylic paint. I'm really liking these! I wanna do them again with more colors. What do you guys think? Hi. I can't watermarble. Bye. We are only getting one picture of this failure. Man... I tried so hard. I just don't have the energy to try another manicure because I'm not feeling the best and this bummed me out enough already! I used Color Club - Edie & Color Club - Mrs. Robinson over a white base. I glittered one nail with Shimmer Polish - Linna to save myself from having to do another nail. Hey everyone! Today's theme is a good one - galaxy naaaaaails! I was actually not excited to do these nails because I was thinking it would take me forever and I wasn't even sure what I wanted them to look like. But I sat down and started... And quickly wound up with this masterpiece, if I do say so myself! This all started with a plain black base. OPI - Black Onyx, to be exact. I began sponging different colors randomly over the base to create different nebula-ish patterns. I dipped it in white acrylic paint and with a glove on my hand, pulled back against the bristles to let the splattering begin. It actually was pretty tidy and didn't make a big mess, but made the bestttttt tiny little galaxy on my nails! I added a few bigger stars with a tiny brush as well. I actually liked this manicure best without topcoat, but I included the next pic with topcoat, just because. I'm obsessedddddd with these. What do you guys think? I'm trying to wear them for as long as possible before I have to do tomorrow's nails. Haha! Here's a fun fact about me: I am afraid of the moon. It creeps me out!! However, I am not afraid of today's theme - Half Moon Mani! Sometimes I feel like challenging myself and today was one of those times. I saw Pink & Polished's take on today's prompt and the outline looked so coool, and it reminded me of those hot swimsuits and bras that are like pastel colors with black trim. So I decided to go for that look! I started with China Glaze - Lotus Begin as my base color. It was a bit difficult to deal with and kinda runny. It needed three coats for coverage which didn't make me happy but it did dry quick. I used a small detail brush to do the outlines with black acrylic paint. It took a lot of patience and a steady hand but I am really pleased with how I did! Hey everyone! Today's theme is Delicate Print. This theme can be interpreted a lot of ways and this year I wanted to go with some delicate (but still vibrant) pastels and I made them even more delicate by adding an adorable feather stamp. I did the gradient over a white base, putting the colors directly on the sponge and then adding layers on the nail to build the opacity but remain soft. The colors are Lime Crime - Pastelchio and Lime Crime - Once In A Blue Mousse. This image comes from Sugar Bubbles plate SB 020. I first did the stamping in white but it was practically invisible so I did it again using Sally Hansen Insta-Dri - S-teal a Base. I actually left the white stamps too for a layered look... and you can't even see it in pictures. I'm really glad I didn't just leave it with the white. Ha! Hey guys! 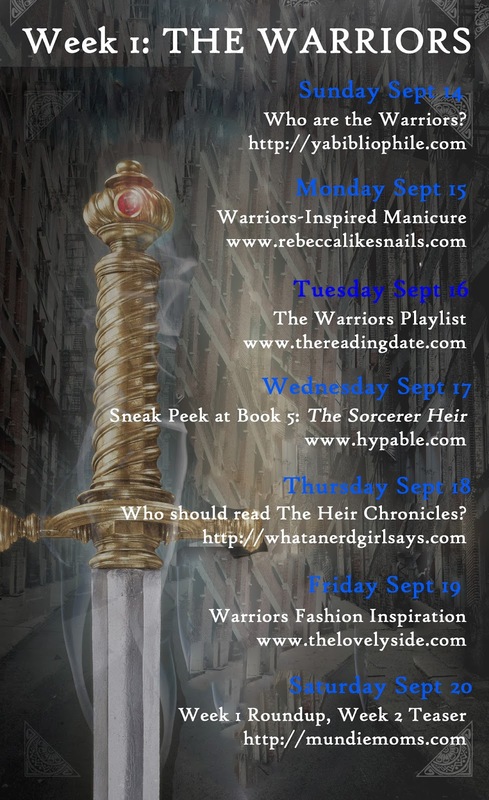 Doing something a little different here today - a blog tour! Let's take a look into The World of Weir. Nails and books? Great combo! The posts for Week 1 are about The Warriors. So let's take a look at my Warriors-inspired manicure and tutorial! Tada! Just like the fierce (but also elegant) hilt on the warriors sword. 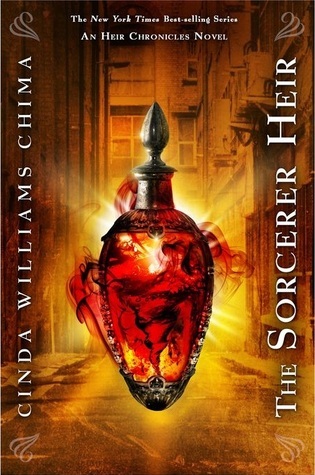 The swirled gold design with the big red stone totally stood out to me, and I knew my manicure had to be based on it. There is a video tutorial a little further down, but here is the lowdown on how to get this look. You start out with a metallic gold base. I used China Glaze - 2030, but you can use any gold polish you have. To create the dimensional and mixed-finish look, you apply gold striping tape once your base is dry. You wanna be able to remove and reposition the tape if you need to, so really let it dry well to avoid headache later. I applied four stripes horizontally (3 on my tiny pinky nail) and then another small piece in the other direction at the top to balance the nail. Use cuticle nippers to easily and closely trim the edges. Apply a generous amount of topcoat to seal in the striping tape, and while your topcoat is still wet, place your rhinestones. I recommend working one nail at a time here so each will be nice and wet for the rhinestone to stick to. Optionally, you can add another coat of topcoat to really seal the rhinestone in, but I prefer not to cover it for this look so that you can still see the facets of the stone. Now check out the tutorial! I made it specifically for Instagram, nice 'n quick and easily shareable! 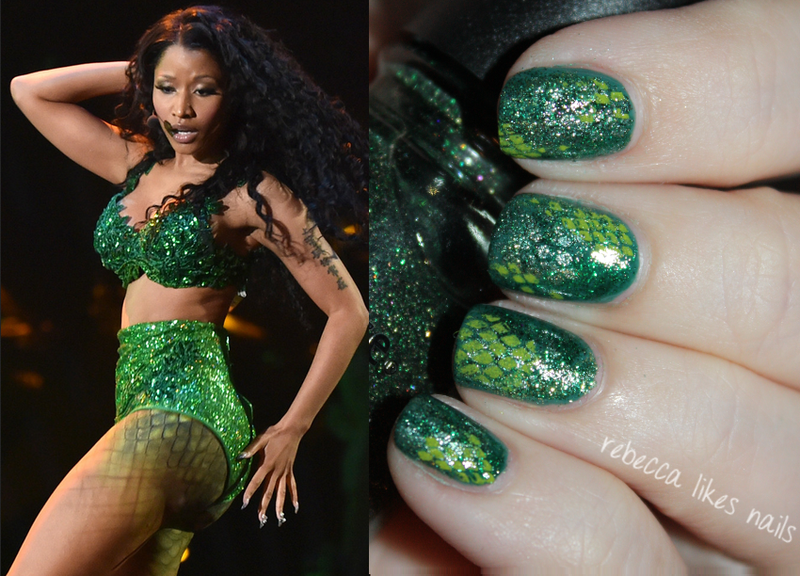 I hope you guys liked this manicure! Please show me if you recreate it.